Well-made contemporary Chinese films are beginning to make inroads into the North American market. 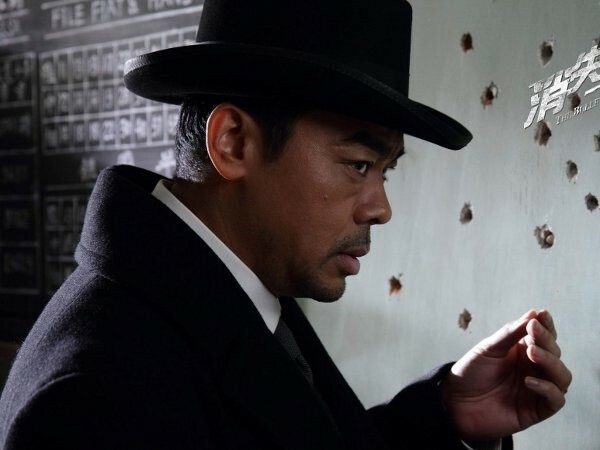 The Bullet Vanishes is a case in point; stylish, with a good script—will it be successful in Canada? A terrible death has taken place in 1930s Shanghai. Yan, a young female factory, accused of stealing bullets from a munitions sweatshop, dies after a game of Russian roulette with her heinous boss, Mr. Ding. An immediate legend has arisen: that she is haunting the place, enticing people to death through an apparition of a bullet that somehow kills them—and vanishes. Arriving to solve the mystery is a brilliant duo, Donglu, a mastermind, who spots clues and offers answers like Sherlock Holmes, and young, hot blooded Guo, who has a great shot and a fine mind. The film slowly unfolds, offering clues as it goes along. Several more “perfect” murders occur, where victims die from gunshot wounds—but no bullets. With help from a medical examiner, a fortuneteller and several women of “easy virtue,” the detectives puzzle out one crime after another. But will they be able to “get their man”? Lo Chi-leung has created a wonderfully crafted film. Working with production designer Silver Cheung and an array of craftspeople, he’s visualized China in the ‘30s: an elaborate factory, an “old town” of gamblers, hookers and gangsters, an Expressionist prison and other glamorous noir sets. It is style that makes this film extraordinary. The script meanders too much and the director never figures out an overall tone for the film. Nonetheless the director is the star of this film. I really enjoyed this film. Commercial Chinese cinema boasts great production values. A genre picture, it will be embraced by aficionados and those willing to tryout a new kind of filmmaking.